Network switches manage data traffic within your network. Typically a layer two Ethernet device, the Fiber Optic Ethernet switches connects all end devices in the network so that they can communicate effectively.Every network has LAN switches at core and edge of the network, which are usualy 19” rack mounted with high-density copper ports and optionally a few fiber optic uplink ports. 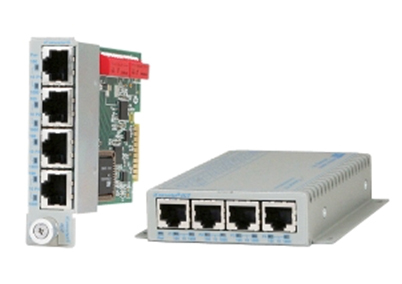 There are many other type of network switches which cater to special requirements such as a small switch with fiber optic uplink port, 19” rack mounted switch with multiple dual media (copper / SFP) ports, DIN rail mounted switch with multiple fiber optic ports supporting redundant ring topology for self-healing mechanism and micro switches for fiber to the office . 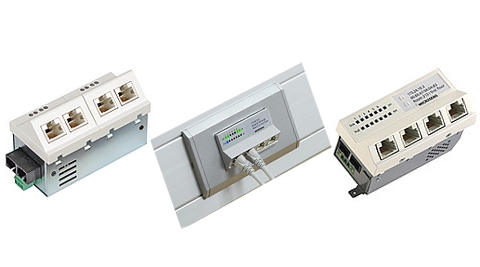 These switches are being used in many niche applications for wireless, surveillance, IoT, industrial and other applications.